The Eater of Books! 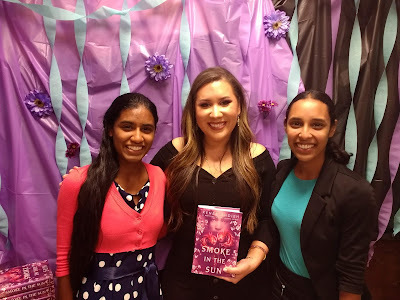 : Smoke In The Sun Event Recap! Hello and happy Friday, fellow bibliovores! 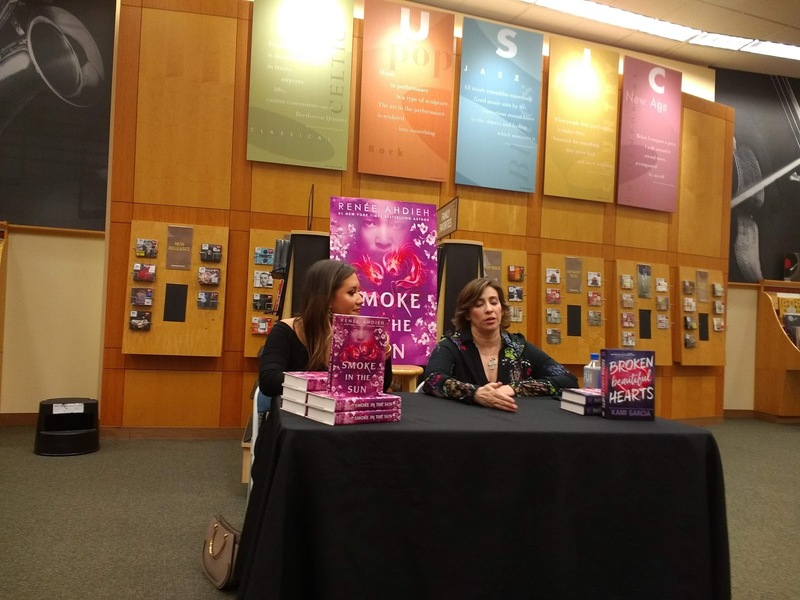 I'm so excited to present my recap of the Fairfax event of the Smoke in the Sun tour. It was so much fun! You all probably have realized that I don't go to a ton of book events. I go to the Baltimore Book Festival, but that's pretty much it. 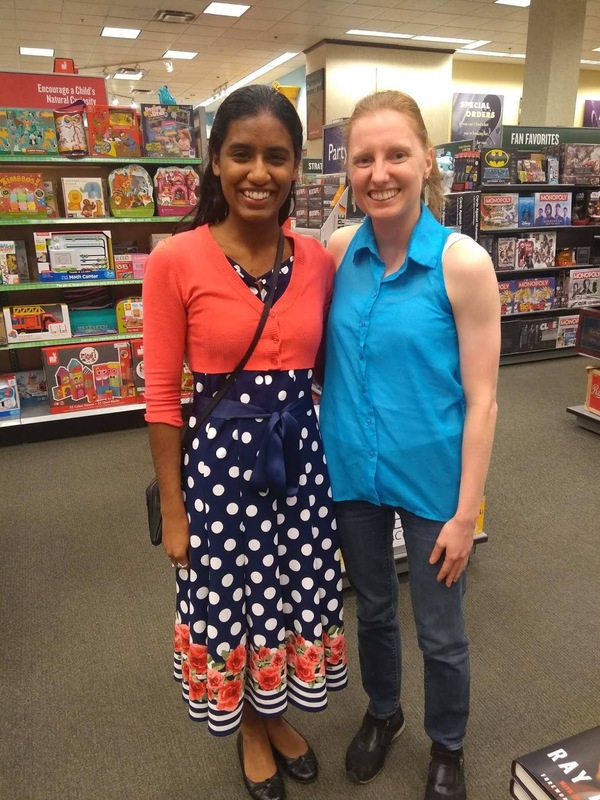 The last two years, I've gone to the Nova Teen Book Festival in Arlington, Virginia, since my sister bought a car. Last year I went to the Kristin Cashore event in Fairfax (same B&N as this Smoke event). I've been able to go to more events since my sister bought a car... but only if the events were on weekends (and both NoVa Teen and the Kristin Cashore event were on weekends). 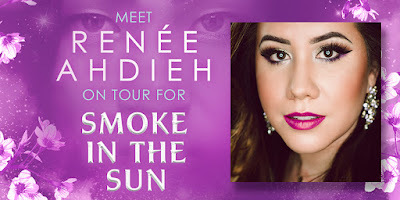 Several weeks ago, Penguin Teen and Renée announced the tour, and I actually squealed when I saw that there would be an event in the D.C./Maryland/Virginia area. But it's a Tuesday! And not in Maryland! BUT. I recently bought a car (literally the same week that the tour was announced), so this ended up being the first trip I took with my car (I consider a trip pretty much anything over 1.5 hours one way). It took over 2 hours to go from downtown Baltimore (where I work) to Fairfax - as Virginia traffic is terrible. My sister came with me and we were initially planning to arrive at 5 PM, grab wristbands at the B&N, and then leave to get dinner. But we ended up arriving after 6 PM, which was the start of the meet & greet event. 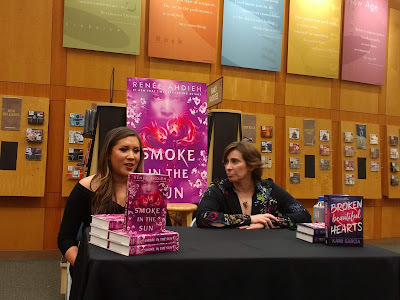 This was a special event that Penguin Teen hosted, for fans that came for 6 PM, to meet Renée and talk in a more personal setting. I hadn't planned to stay for this since I knew we would be starving and would want to eat dinner. BUT we ended up staying, because Renée had been stuck in traffic and arrived around 6:15 PM. I'm so glad we stayed. Initially there were about six of us, and then Renée arrived. 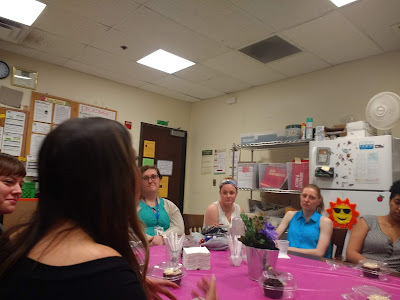 We got to chat and ask her questions. She told us about her travels, life in Korea, and even some book details about her upcoming projects (but I can't share anything!). 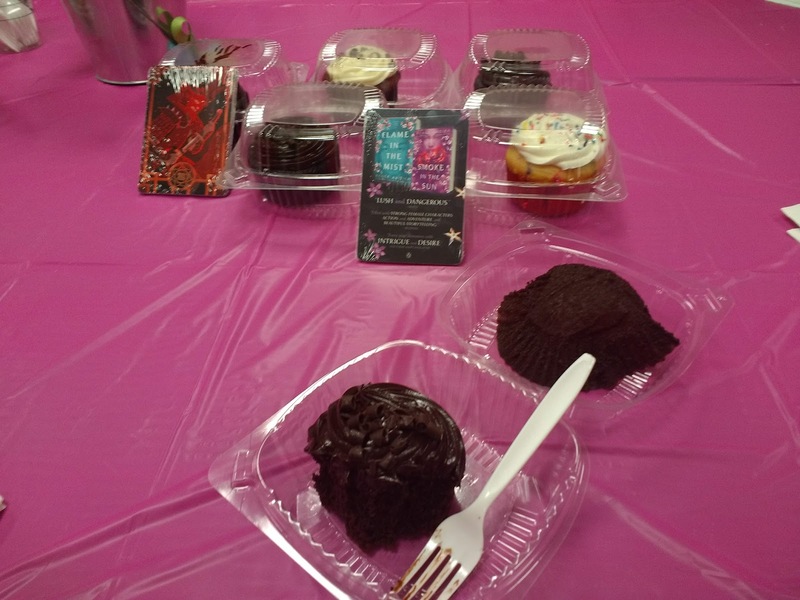 The best part was that there were cupcakes! Penguin sponsored the event, so the B&N provided the most delicious cupcakes ever. We got pictures with Renée! The event started at 7 PM. Renée was in conversation with Kami Garcia! And then there was the signing! I brought a ton of books. 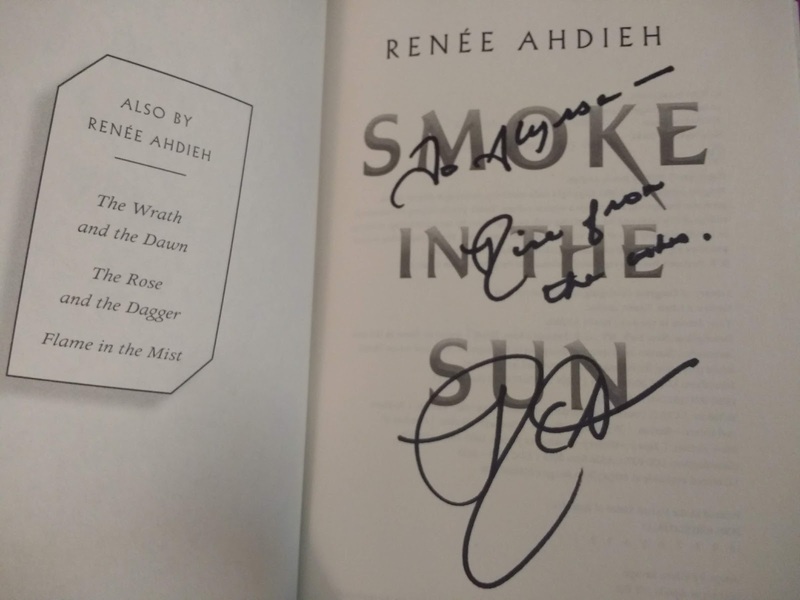 Last year, I got all of my Wrath and Rose copies signed, so this year, I only had to bring my Flame and Smoke copies (ARCs and hardcovers). I also brought my paperback copy of Fanfare (Renée's little-known adult debut from 2011), my hardcover copy of Because You Love to Hate Me (which contains a short story that Renée wrote), and my ARC of A Thousand Beginnings and Endings (an anthology of Asian folklore retellings, written by Asian authors). 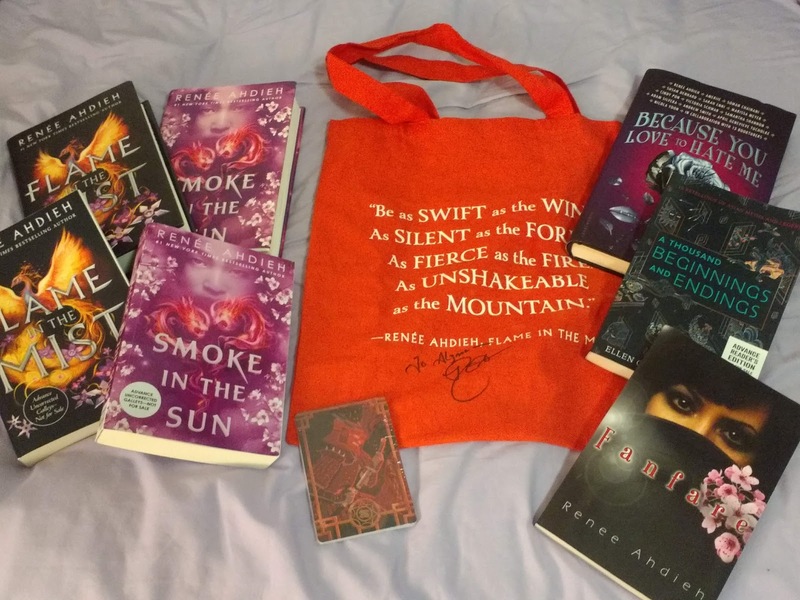 I also brought my Flame in the Mist tote bag, which Renée very nicely signed! There was some Flame swag - character card packs! There are ten character cards - two per character (Okami, Ranmaru, Mariko, Kenshin, Yumi). And finally, I got to meet my dear friend Lena for the first time! Lena and I have known each other for a very long time - one of the "oldest" bloggers I've followed. 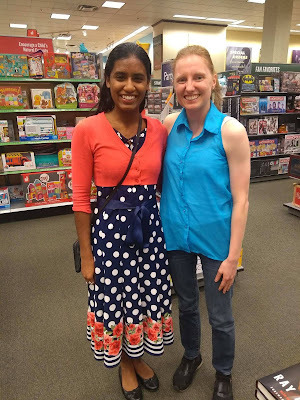 We met online as Maryland bloggers, but we've never met in person. Lena initially wasn't going to be attending this event, but she changed her mind on Tuesday, and I'm so glad she did. She is as amazing in person as she is online! Follow Lena on Twitter and Instagram! And because I seem to be sharing food pictures in recap posts, here was my dinner from that night! 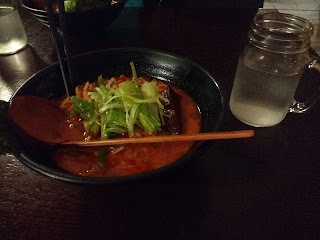 We went to a ramen place called Marumen, close by. 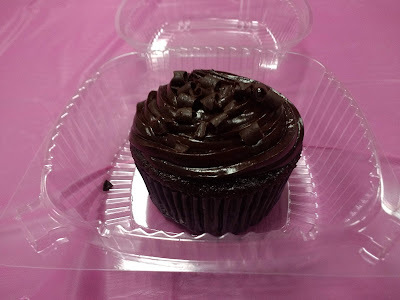 It was very tasty (and worth the wait)! Now that looks like a fabulous event. Glad you could go and also catch up with Lena. That is awesome! I am so glad you got to go to this event! also, I agree anything over 1 hour and 30 mins is a trip. Have a great weekend Alyssa! This looks like an awesome event, Alyssa! (And great food!) I'm so glad you were able to go and had fun! Ohhhh, looks like fun, Alyssa! Also, congrats on the new car! Renee will also be in LA next week but it's at The Grove and traffic going there is crazy! Especially since it's a weekday and I expect that the event will be packed! I actually love smaller book events. And I was lucky that I got to meet Leigh Bardugo and Marie Lu as smaller book events. The bigger ones are just crazy! Also, I love ramen!! So that looks absolutely yummy! So glad you had fun! What an awesome event to get to go to and those cupcakes look amazing!